Most women have spent much of their working lives "making it" in a man's world, leaning on patriarchal methods of survival in order to succeed, dulling down their intuition, and ignoring the fierce power of their feminine. They have ignored the cycles of the feminine in order to survive in a patriarchal linear system - but now the world has changed. 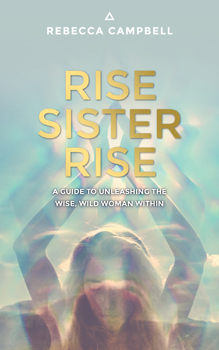 Rise Sister Rise is a transmission that calls the innate feminine wisdom to rise. It is about healing the insecurities, the fears, and the inherited patterns that stop women trusting the Shakti (power) and wisdom (intuition) that effortlessly flows through them. It's about recognizing all of the ways we have been keeping ourselves contained and restrained in effort to fit into a certain archetype of woman. It's about co-creating a whole new archetype of woman - a woman who does not keep herself small in order to make others feel more comfortable. A woman who knows like she knows like she knows that she is not her body weight, her sexual partners, or her career. A woman who deeply respects the wise woman in her life and cultivates her own wisdom every single day. Full of tools, calls to action, contemplative questions, rituals, and confrontational exercises, this book teaches women that it is safe to let Shakti rise, safe to trust their intuition, and safe to take leaps of faith - because in healing ourselves we are healing the world.